Although Liam’s treatment is working, his path to becoming cancer free will likely take around three and a half years. To Liam’s family, that’s three and a half years of worrying, hospital visits and procedures. When Liam’s immune system is weak, there’s a discouragingly long list of things they can’t do. Liam’s road ahead is a long and uncertain one. His diagnosis hit his family hard, and his treatment has been even harder. 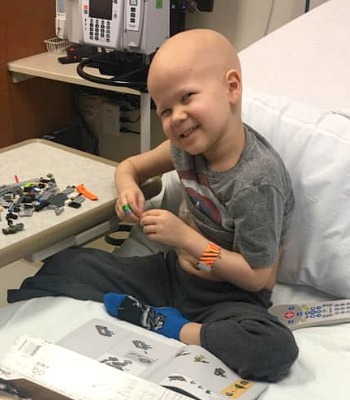 Liam, now 6, has had to grow up faster than any kid should have to in order to fight his cancer – and he’s not done fighting yet.